August issue features the Baddest Bagger in Laughlin Bike on the cover. 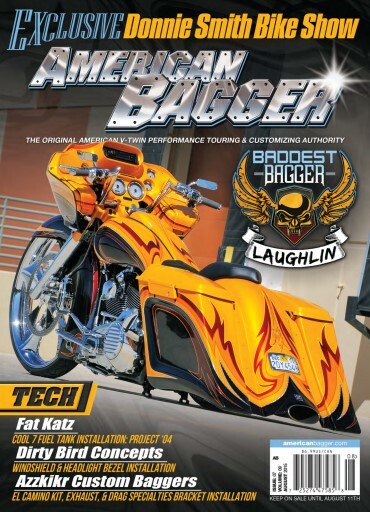 this issue also includes event coverage from Baddes Bagger in Laughlin, the Baddest Bagger in Minnesota and the Donnie Smith Bike/car show and parts extravaganza. Tech articles include Love Jugs, Fat Katz, Bahn, Azzkikr, Drag Secialties and Dirty Bird concepts. Buyers Guides featured are Suspension and Rake Kits.